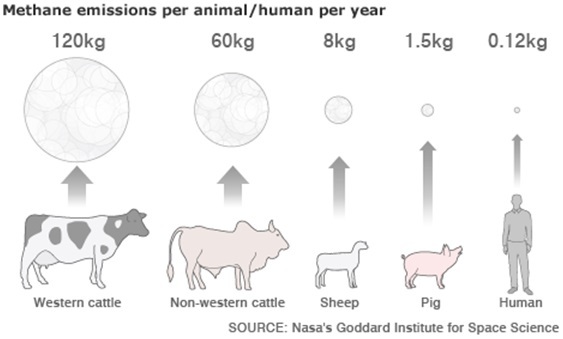 Due to industrialization in developed countries the carbon dioxide and methane level of atmosphere has increased. This gas resulted in warming because of heat coming from sun, is not reflected back in atmosphere. This is also known as green house effect. 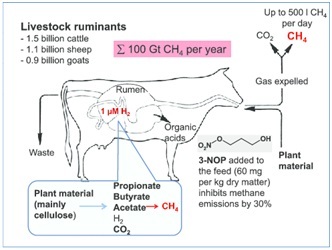 The methane is also produces rumen due to presence of methanogenic bacteria. 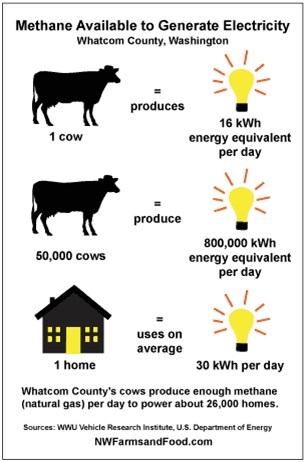 The cows are responsible for adding 15% of total methane production of world. 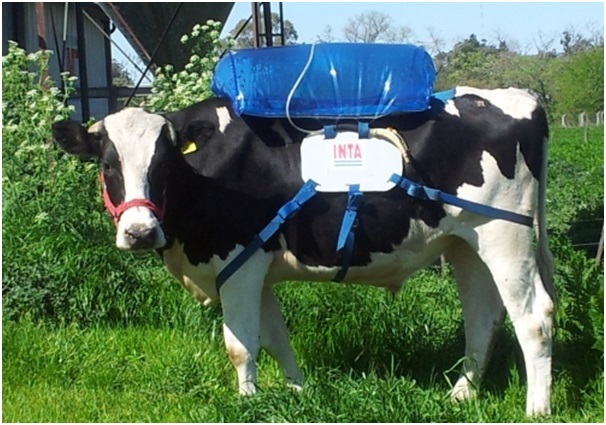 A cow produces 65 kg of methane per year and milking cow produces the double the amount ie- 129 kg per year. There are 1.3 billion cow in world. India alone has 3.5 million cow and buffalo’s. So it is adding methane production and thus the global warming. Methane and carbon dioxide production increasing every year. The methane production rate is increasing 1% and carbon dioxide production is increasing 0.5% every year. Methane is 21% more potent in heat production than carbon dioxide. It has been found out from experiments or cow nutrition that feeding alpha hay can reduce methane production by 10% and milk production is also increases. So feeding berseem (Alpha-alpha) it is win win condition it will help in increasing in milk production, and reduces methane production. You can also read our post on Cattle house management click here.